GDPR is now the law. And this fact means that, technically, from now on every company processing the data of EU citizens or residents should do so in alignment with the new rules. Otherwise, they’re at risk of severe fines. That said, a lot of businesses are far from ready for this brave new world. 85% of firms in Europe and the United States will not be ready to fully comply on time, while 25% will not be fully compliant by the end of this year. So, if your preparations for the new law are still a work in progress, you might take consolation in the knowledge that you’re certainly not alone. However, this doesn’t mean the authorities will go easy on you when they audit your organization. We know this all sounds really stressful – but our goal isn’t to make you panic. Remember that taking care of GDPR business will give you peace of mind. You’ll also be able to get back to all the other responsibilities that come with running a company. Also, one of your most important tasks is to check whether every third party with access to your users’ data is compliant with GDPR. Those numbers from Capgemini should tell you that you need to speak about compliance to your tech partners (suppliers, vendors, customers or anyone else you have some kind of business alliance with). What’s more, remember that as a data controller you are directly responsible for what happens with data collected from your users. GDPR Data Subject Rights – What You Need to Know. In this blog post we want to give you some practical advice on how to assess your partners for GDPR compliance. For your convenience, we’ve divided the whole process into four actionable steps. Sounds good? This may seem easy at first, but don’t be fooled. Research by ISACA shows that the top challenge in GDPR compliance is data discovery and mapping (59% of responses). This is because today’s companies use an extensive amount of tools. Data gathered by Siftery indicates that top companies today use an average of 37 different tools or software platforms to run their day-to-day operations. The chances are high that many of them are processing personal data of your users. Especially that under GDPR the definition of personal data includes even online identifiers and IP addresses. PII, Personal Data or Both? Now you’ll have to check for GDPR compliance of each and one of them. What makes the task even harder is the fact that these tools are scattered across the whole organization. Just finding them might be a big challenge. That’s why it’s important to ensure that every department of your organization is involved in the process. This will make it much easier to create a list of every piece of software your company uses. As we’ve said before, never assume a business partner operates in compliance with GDPR, even if they’ve always been trustworthy before. Recent events have demonstrated that many famous companies and organizations are falling short. See: Facebook and Google hit with $8.8 billion in lawsuits on day one of GDPR. […] the core activities of the controller or the processor consist of processing operations which, by virtue of their nature, their scope and/or their purposes, require regular and systematic monitoring of data subjects on a large scale. This means that if a data processor’s day-to-day activity involves tracking the online behavior of users, they should definitely have a designated DPO in their structure. If your partners are located offshore, it’s highly advisable that they join the Privacy Shield framework. Also, it’s a good sign when they comply with international security standards like ISO 27001. If they comply with these standards you know that, at the very least, they have a basic data security framework in place. Your DPO or members of a designated GDPR team should be able to speak with your partner’s DPO and get a clear idea of what steps they have taken to be compliant with the new law. One of the most important things to look for is a framework for managing data subject requests. As a data controller, you have an obligation to ensure that data subjects can exercise their rights. Under GDPR, you have 30 days to process every request from a data subject. It’s hard to predict how often users will exercise their rights. However, your software providers should develop some sort of standardized mechanism for accessing, revoking, and deleting user data within their systems. Otherwise, you may not be able to keep up with queries. This would expose you to fines for not performing your duties. The Regulation significantly expands the definition of personal data from that in Directive 95/46/EC. For instance, GDPR treats online identifiers and location data as personal data. This demands that they be protected in the same way as other identifiers, like information on the genetic, economic, or psychological identity of a data subject. What’s more, it includes cookies among online identifiers. That’s also not true. Keep in mind that GDPR impacts every business dealing with clients from the EU, not only companies based in the European Union. If a company does any form of trade with customers within the EU, then GDPR rules will apply to them if they store, process, or share EU citizens’ or residents’ personal data. This is true regardless of where the business is located. What’s more, GDPR introduces additional requirements for crossborder data processing. They’re listed in Chapter 5 of the Regulation. You have to be aware that there’s no such thing as GDPR certification. At least for now. There’s no way to get a GDPR compliance certification yet for the simple reason that there is currently no authorized institution or body that offers it. That’s why, despite the fact that many companies offer some kind of GDPR training, there are virtually no standards for this kind of certification and what should be included in the program. This is why you definitely shouldn’t treat this kind of certification as proof of compliance with the new law. How to be Sure Your Web Analytics Complies With the New Law. Signing a contract (Data Processing Agreement) with your data processors is another requirement of GDPR, provided for in Article 28. So, if your business partner has presented some reasonable proof that they’ll provide a level of privacy appropriate for your users’ data, it’s now time to sign a Data Processing Agreement with them. This contract should specify the data they have access to, the scope of use of that data, and any existing compliance plan that might be in effect. Under GDPR, the demands of such a contract are broader, going beyond just ensuring the security of personal data. They aim to ensure and demonstrate compliance with all the requirements of the new Regulation. If you’re not familiar with Data Processing Agreements, this extremely helpful guide created by The Information Commissioner’s Office (ICO; stylised as ico.) may come in handy. It’s also extremely important to make sure that nobody processing your data shares it with another third party or uses it in any other way than described in the DPA. For example, they shouldn’t use it to better their services or improve their products (like in the case of Google)! Compliance with the law is not something that is given once and for all. It’s more like a continual process of reviewing your business and your business partners in light of new requirements, and paying close attention to whatever the future brings. 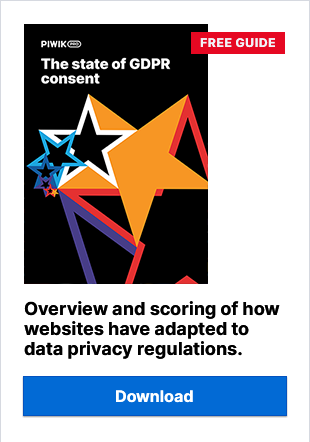 This is especially the case with GDPR – a very high-level framework still waiting for more practical, granular explanations. For instance, the Regulation on Privacy and Electronic Communications, also known as the ePrivacy Regulation, will provide much more detailed requirements for electronic data processing. However, ePrivacy is due to come into force in 2019, and the final text still hasn’t been published (a recent draft is available here). In addition, each Member State of the European Union may issue their own guidance regarding GDPR compliance, or start offering GDPR certification. Both you and your business partners have to be ready to adjust your policies and practices to such changes. We hope that all the information presented above has given you some insights into reviewing the compliance of every party with access to your clients’ personal data. But if you have some more questions or just want to learn more about our GDPR-compliant products, don’t hesitate to get in contact! Our experts will be happy to help!